yesterday i was just getting low internet speed and i was started getting defeculty in watching you tube video means to say video was not playing continuously. but first what is buffer ? A buffer is temporary holding pen in the computers memory for data for inputs (e.g., to software) or outputs (e.g., to a printer) until the process can deal with it. Buffers are needed when data comes in faster than it can be processed, or when the rates vary, like in a printer spooler. 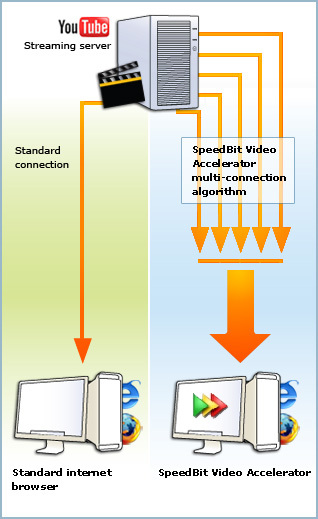 In regards to video streaming, buffering occurs when a streaming media player saves portions of a streaming media file to local storage for playback. Streaming media players usually buffer a small percentage of a media presentation before play begins. 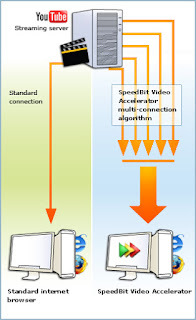 Buffering can also occur during the streaming media presentation, when the presentation's required bandwidth is greater than the available bandwidth needed to view the file in real-time. with this software i just wanna to say a trick . while you are watching any you tube video just check that video is playing as 240p by default all the video are playing as 360p means video quality level .